"...some of what drew me to each of those books, as well as some of the questions I ask myself when I’m thinking about acquiring a project." 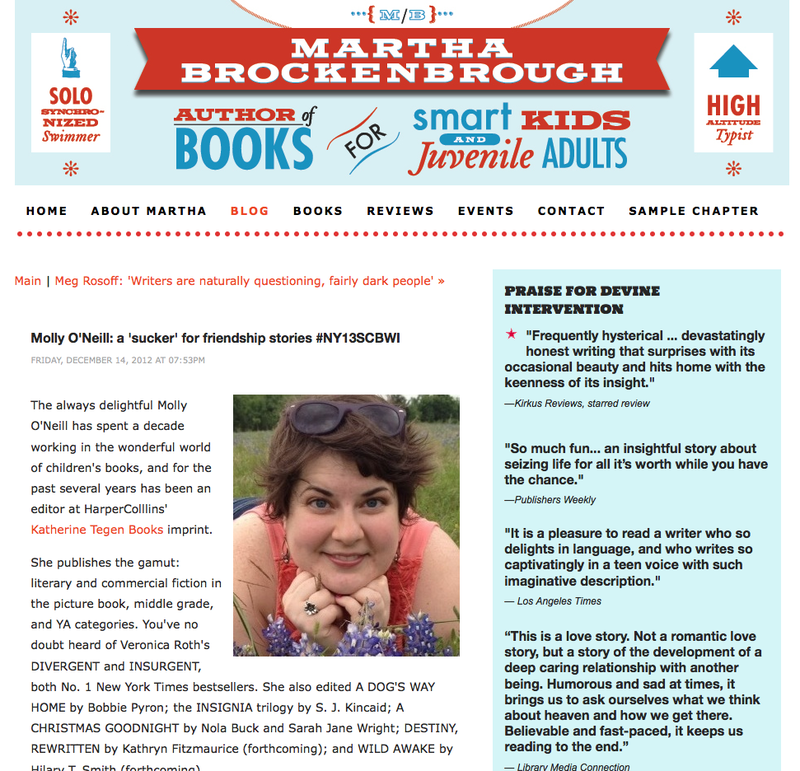 On her blog, Martha Brockenbrough interviews Molly and finds out about the market, the types of manuscripts and the quality of writers Molly's looking for...and more! Find out more details about the 2013 SCBWI Winter Conference schedule, faculty and registration here. 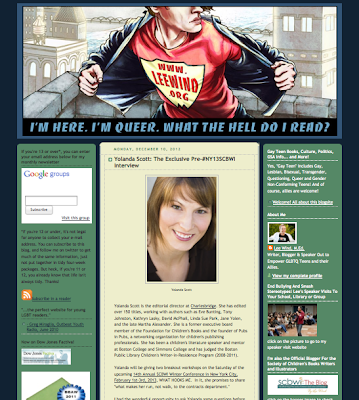 Yolanda Scott is the editorial director at Charlesbridge. She has edited over 150 titles, working with authors such as Eve Bunting, Tony Johnston, Kathryn Lasky, David McPhail, Linda Sue Park, Jane Yolen, and the late Martha Alexander. She is a former executive board member of the Foundation for Children's Books and the founder of Pubs in Pubs, a networking organization for children's publishing professionals. She has been a children's literature speaker and mentor at Boston College and Simmons College and has judged the Boston Public Library Children's Writer-in-Residence Program (2008-2011). Yolanda will be giving two breakout workshops on the Saturday of the upcoming 14th Annual SCBWI Winter Conference in New York City, February 1st-3rd, 2013, WHAT HOOKS ME. In it, she promises to reveal "what makes her run, not walk, to the contracts department." Registration for #NY13SCBWI is open (early registration ends January 4, 2013), and space is still available. FYI - the Winter conference sold out last year. And the year before... Find out more details about the 2013 SCBWI Winter Conference schedule, faculty and registration here.